Miami Personal Injury Attorney, Sagi Shaked of Shaked Law Firm, announced that he is now offering complimentary legal consultations to all new clientele. Our law firm zealously represents the interests of our clients – we take on insurance companies to make sure we get maximum returns for our clients. Miami Personal Injury Attorney, Sagi Shaked of Shaked Law Firm, announced that he is now offering complementary legal consultations to all new clientele. Shaked Law Firm, P.A. provides superior representation for personal injury cases involving medical malpractice, slip and fall, car accidents, and motorcycle accidents in Miami. Coping with the loss of a loved one can be of the most trying times of your life. When your family member’s death was caused by another party’s negligence or wrongdoing, the grieving process only intensifies in these instances, you may have the right to file a wrongful death lawsuit and receive the closure and financial compensation to which you and your family are entitled. Shaked Law Firm is committed to helping clients with claims relating to personal injury, medical malpractice, car accidents, wrongful death, and motorcycle accidents. Its professional and dedicated team of injury attorneys has obtained large recoveries for their clients totaling millions of dollars. The firm’s personal injury lawyers and staff will work closely with each client to ensure highly personalized, accessible, and responsive representation is provided. 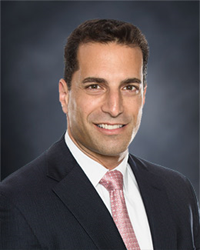 Sagi Shaked was named one of Florida's Super Lawyers for 2016! Super Lawyers rates attorneys from over 70 practice areas, and selects the top lawyers in the state based on a combination of professional achievement and peer reviews. About Shaked Law Firm, P.A. The motorcycle accident lawyers at Shaked Law Firm, P.A. have more than 70 years of combined legal experience. For more information, please visit the firm’s website or call (877) 529 - 0080.